Good luck avoiding spoilers for this summer's blockbusters! If you grew up outside the U.S. in the 1980s, you'll no doubt remember the agonising wait for Hollywood movies to turn up at your local fleapit. It generally took at least six months for American movies to make their way across the Atlantic, but sometimes it could take as long as a year. If you were a nascent movie geek, that meant months and months of poring over stories in magazines, watching 'making of' featurettes on TV and renting movies you had no interest in seeing simply because you heard the VHS tape featured a trailer for Spielberg's latest blockbuster. By the time you got to see the movie on opening day you probably knew most of the plot, especially if you were in the habit of reading novelisations, which usually turned up in bookshops months before the movie in question hit cinemas. Things have changed considerably, with most Hollywood tentpole movies now opening on the same weekend across the globe. It's never been easier for audiences to avoid plot details, yet we've never been more obsessed with complaining about 'spoilers'. Mention of the merest plot point in a review or social media post can lead to a barrage of abuse and comments along the lines of "Thanks for ruining the movie for me," and "Well there's no point in me seeing it now!" You have to assume these people rigorously avoid watching classic movies because they can't seem to engage with cinema on any kind of level beyond the surprise factor - buy Planet of the Apes or Psycho on DVD and you'll likely have the two big twists of those movies spelled out on the packaging artwork. Twist - it won't ruin either movie! For such people, movies seem to serve the function of lucky dip bags or Kinder Surprise eggs. Most films don't actually feature twists of any kind, which makes you wonder if the spoiler obsessives can extract any kind of pleasure from such movies. The rest of us understand that cinema is a sensual and emotional experience above a merely intellectual one, and the experience of watching a movie can't be 'ruined' by reading an account of what might occur on screen, no more than a meal can be ruined by a menu or a trip to the Grand Canyon spoiled by having read about it in National Geographic. When you're riding a rollercoaster, knowing you're coming up to the big dip doesn't make that experience any less thrilling; it's why people who genuinely love movies and know how to engage with them can watch the same film over and over without it ever losing any of its power. For the spoiler-phobes, the coming summer months are going to prove a nerve-wracking experience. Thanks to the World Cup, which runs from June 14th to July 15th, UK distributors have arranged their release dates to avoid clashing with the world's biggest sports tournament. As the vast majority of Americans couldn't care less about 'soccer', this means the US and UK releases of some of the summer's biggest potential blockbusters are weeks apart. No movies bring out the spoiler-phobes in numbers quite like those of the Marvel Cinematic Universe. Though there are currently two Marvel movies clogging up multiplexes (Black Panther and Avengers: Infinity War), the next instalment is merely a couple of months away. 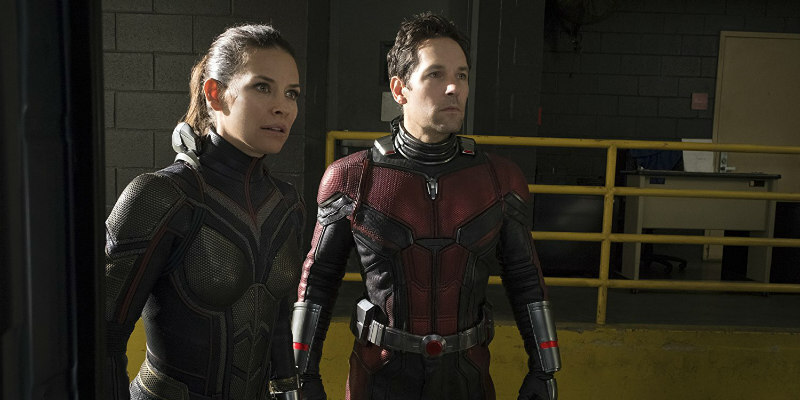 Ant-Man and the Wasp opens in the US on July 6th, but UK comic movie fans will have to wait an entire month for its August 3rd debut. If you want to go into the Paul Rudd vehicle fresh, you may need to unplug your broadband router for a month. It's a similar situation with Pixar's superhero sequel, Incredibles 2, which opens in UK cinemas July 13th, a month after its June 15th US opening. Another big sequel, The Equalizer 2, has been pushed back to August 17th, with the Denzel Washington actioner opening in the US on July 20th. Arguably the biggest release of the summer, Jurassic World: Fallen Kingdom, has conversely been pushed forward by its UK distrib, meaning it will open prior to the World Cup, on June 6th. In that case, American spoiler-phobes will be the ones made to sweat for two weeks until it hits US theatres on June 22nd. The one outlier is another sequel/reboot. Ocean's 8, a female led spinoff from Steven Soderbergh's franchise, has been scheduled for a UK release slap bang in the middle of the World Cup on June 22nd, a piece of counter-programming playing on the rather sexist assumptions that a) women aren't interested in football and b) men aren't interested in female led movies. How to cope with the danger of being exposed to spoilers? Well aside from going off the grid entirely, it's not going to be easy. Perhaps this experience will be a positive one for the spoiler-phobes, who may finally come to realise that cinema has a lot more to offer than plot twists and character deaths. If you can learn to engage with movies on an emotional and sensual level, you'll in essence become spoiler proof by proxy. If you can't, maybe stick to TV.